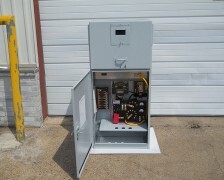 JA Electronics designs and builds custom cathodic protection solutions to your exact specifications. 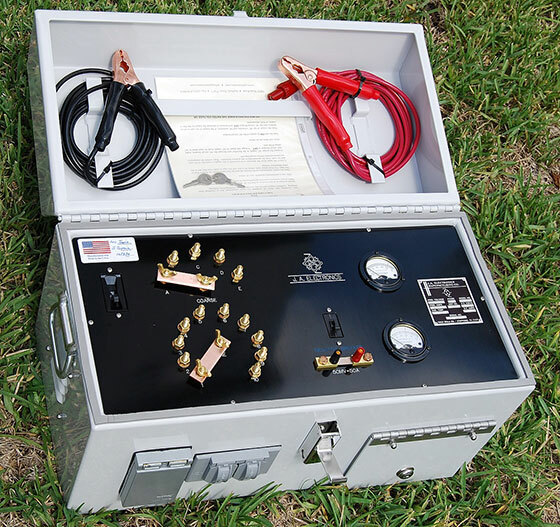 Quickly and efficiently determine your rectifier and groundbed needs with a portable test rectifier from JA Electronics. 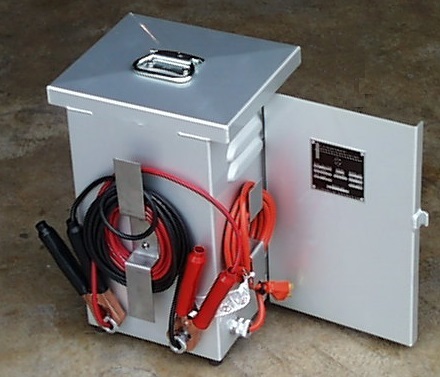 Powered by single-phase AC power from mains, generator or inverter, and enclosed in a dry powder coated aluminum enclosure, these rectifiers save time and money by getting your system designed accurately the first time. 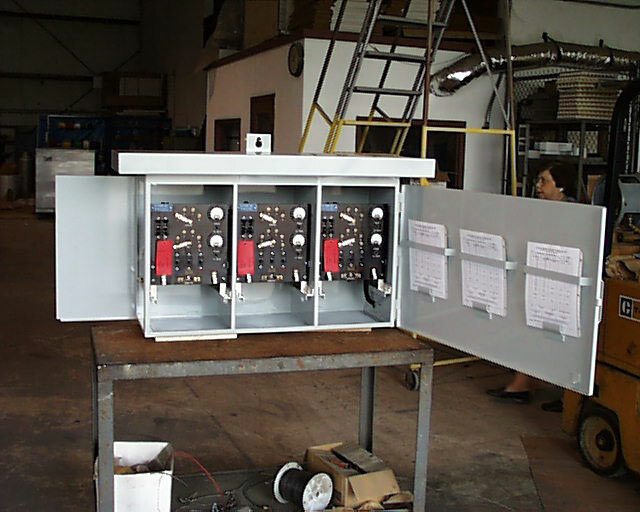 And later, they may be quickly applied to troubleshooting and testing of existing groundbeds, casings, and interference crossings. Connects to your CP project groundbed with DC clamp leads. 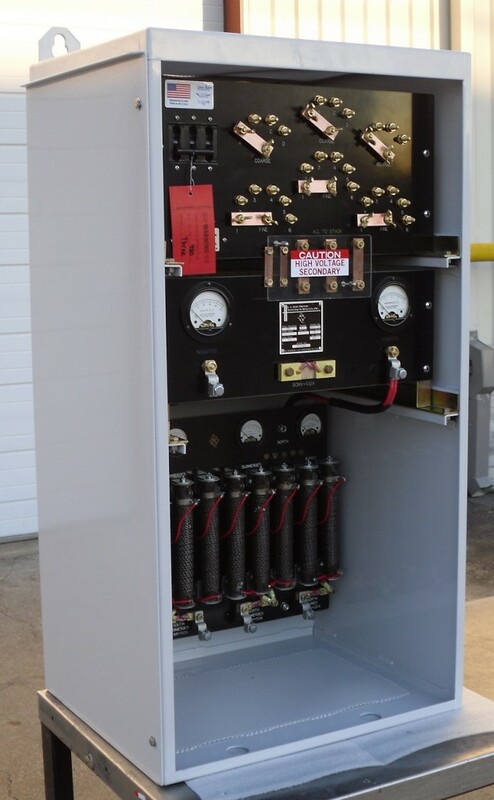 Designed and manufactured especially for cathodic protection of storage tanks and underground piping, the service station line of air-cooled cathodic protection system rectifiers delivers JA Electronics’ signature quality and value. 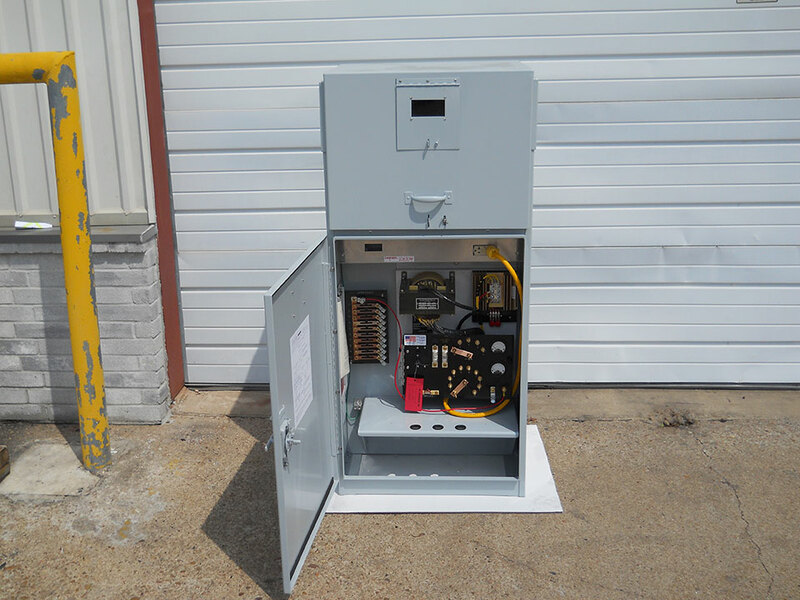 Standard features include a heavy-duty transformer with 20% over design capacity, elapsed time hour meter, fully magnetic circuit breaker, separate DC volt and amp continuous read meters, and AC and DC failure lights. 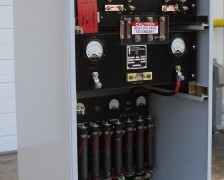 The Omega II bridge/controller provides an extremely low ripple DC output, to improve the quality of your impressed current cathodic protection system, reducing the AC component of the rectifier system output from over 8.8v RMS in an unfiltered system, to less than 0.1v in the Omega II constant-voltage system output. 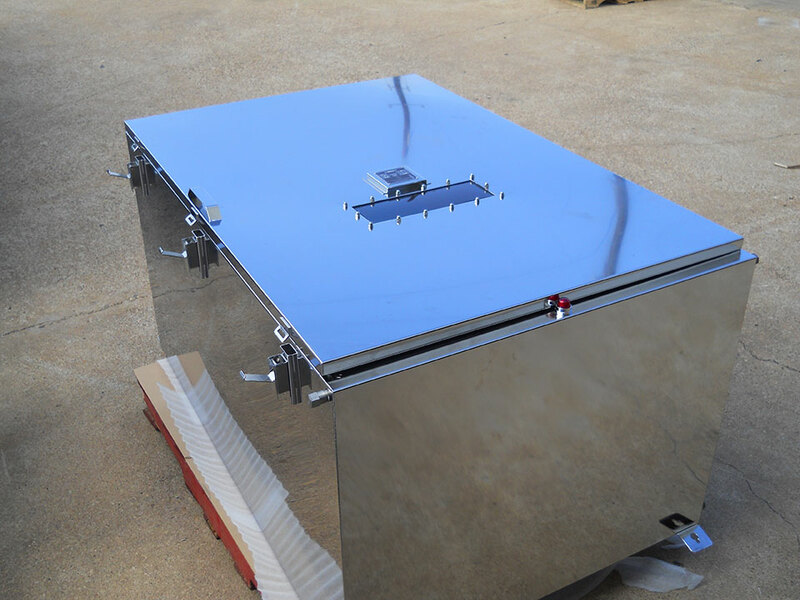 It can be installed in new cathodic protection rectifiers, or a replacement kit can be provided for existing rectifier units. 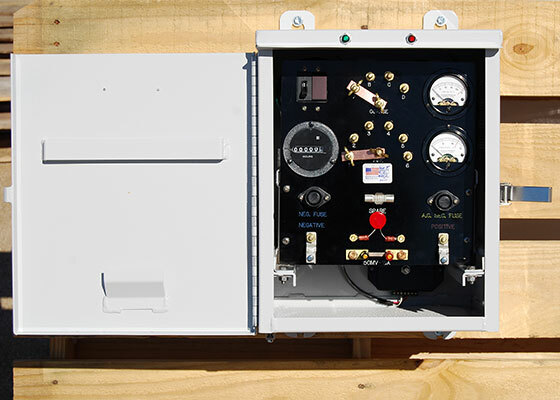 With this technology from JA Electronics, the output power to your protected structures has 5% or less output ripple, compared to 45% ripple on standard units, allowing for maximum design efficiency. 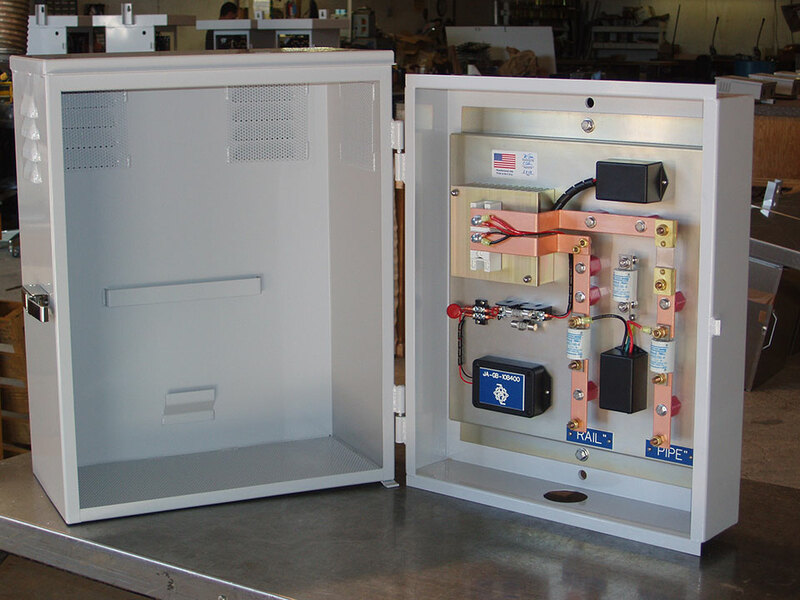 JA Electronics designs and builds custom cathodic protection solutions including custom enclosures. 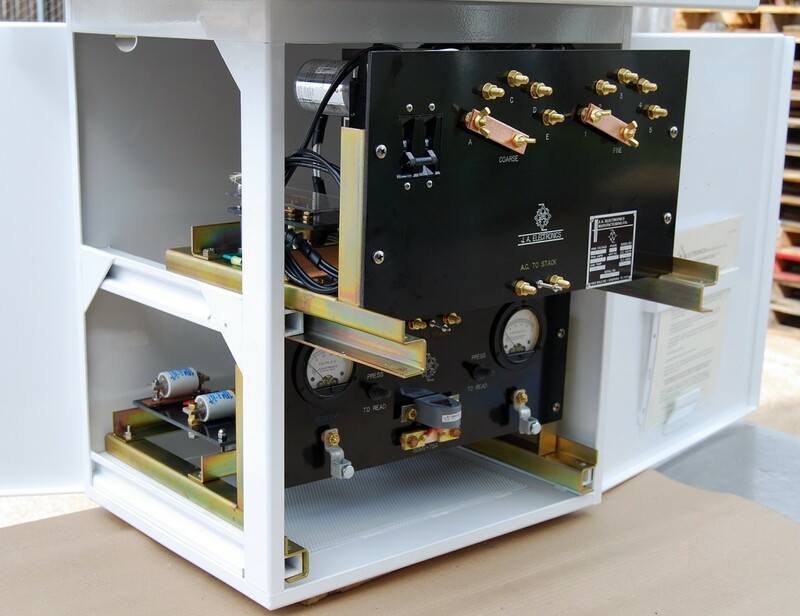 Multiple rectifier units per cabinet, special mounting or enclosure needs are available, as well as sun shields fitted to oil-cooled rectifier tanks. 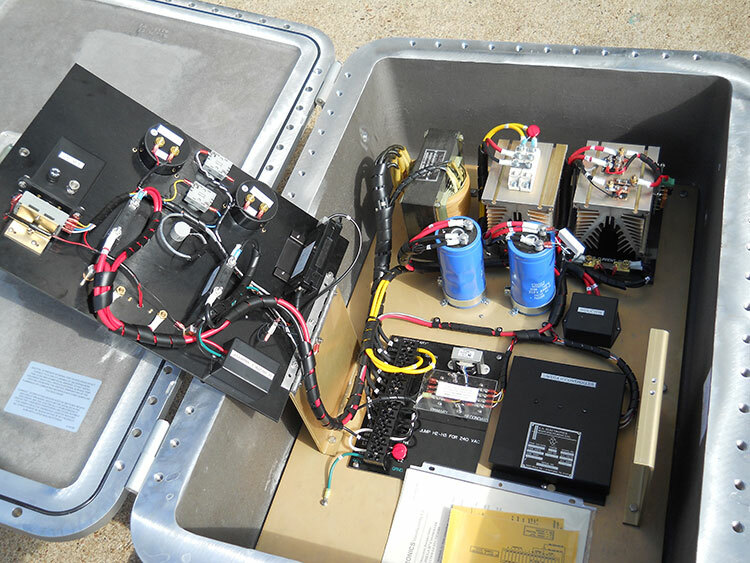 Provide your pipeline a one-way DC current bond to allow the CP system to do its job, and at the same time protect the CP system from occasional high- or medium-voltage induced currents in the reverse direction. 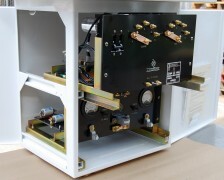 The reverse current switch is a separately enclosed device, built to JA Electronics industry-leading quality standards.